To Wix or WordPress? That is the Question! You know you need a website. You know you want to build it yourself. (Or even if you don’t exactly WANT to build it yourself, you know you can’t afford to have someone build it for you.) For most people the next question will be Wix or WordPress. Both are widely used platforms. Both make it easy, or relatively easy, for even non-techies to build decent websites. If you don’t know what WordPress even is, stop right here, click this link, and start building your Wix website. Otherwise, let’s explore some of the features and the drawbacks of both popular web-building platforms. The vast majority of the world’s websites run on WordPress, so they obviously are doing something right. The site you are reading now is a WordPress site. Flexibility — A WordPress website can do anything! No matter how big or complicated the project, it can be built in WordPress and customized to look and function exactly as you want it. Lots of support – As WordPress is open source there are tons of people working in it and if you get in over your head, it’s easy to find qualified help, like what we offer here at Z-Dog Media. Lots of functionality — There are an overwhelming number of WordPress plugins and apps that can help you achieve most any website functionality you can think of. Design Flexibility – Similar to plug-ins, you can find an never ending supply of custom WordPress themes that will help you layout the perfect site for your needs and functionality. Easy (relatively) — As long as you have minimal technical skills, it’s not difficult to learn WordPress. Longevity – Because so much of the world runs on it and so many people are programming for it, WordPress isn’t going anywhere and the levels of support and variety of WordPress products will only increase over time. Automatically Mobile Friendly — Most WordPress themes are automatically mobile friendly without the need for extra editing. You Need Skills – While WordPress is relatively easy to work with, you will need some technical skills in order to build a decent SEO optimized website with integrated plugins. You Need Hosting – With a WordPress site you will need to pay to host it somewhere (hosting is included with Wix and other Drag and Drop web builders). At Z-Dog Media we currently use Blue Host and have always been happy with their service. More expensive — WordPress sites will be more expensive to build because unlike Wix where everything is included in a single package price, everything with WordPress is a la carte – photos, graphics, plug-ins or programming, custom themes, etc. 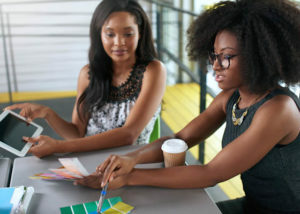 Wix makes it easy for nearly anyone to build a decent website by offering a one-stop solution for everything your business needs to get online. And while Drag and Drop web builders used to be limiting, they have now gotten so sophisticated, they will fill the needs of most any small or medium sized business(SMBs). It’s easy! Even if you have no technical skills, you can look at the onsite tutorials and build a website. You’ll probably even have a lot of fun doing it once you get the hang of it! If you have any experience at all with desktop publishing (Power Point, Quark, Pagemaker, etc.) 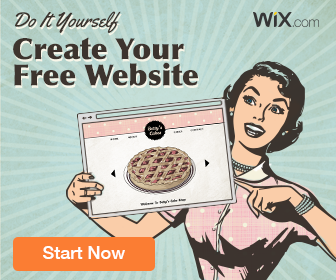 it will be even easier for you to use Wix! Less expensive – Even with the top Premium plan, you’ll end up paying less to build your website at a site like Wix as everything is included. Reliable Hosting Included – even free Wix sites come with hosting, one less thing to worry about, not only that your site is automatically protected against Malware and hackers. Free Domain Registration – upgrade to one of Wix inexpensive “premium plans” and they will even cover the cost of your domain registration. Free Photos and Graphics — You will find a huge library of stock photos, graphics and fonts so you can make a site whose look reflects your brand. Lot of Themes to Choose From – Wix has huge variety of custom layout templates to fit most any kind of business. Easy to Install Extras – Wix offers great functionality with a variety of apps and upgrades, some are free, some are premiums, none are expensive. These include but are not limited to e-commerce stores, calendars, forms, online reservation capability, and much more. Built in SEO – Search Engine Optimization tools built into the system make it easy to optimize your site so search engines find you. Add the power of Google — It’s easy to integrate Google Analytics and Google Search Console (Webmaster Tools). Somewhat Limited — If you are used to working in WordPress with its unlimited functionality, Wix can feel limiting. However once you get used to using it, you can see you really can customized a lot…maybe not EVERYTHING, but a lot. Basic Functionality — Use of apps or plug-ins offer basic functionality, but not advanced or customizable functionality. On the other hand, they are quick and easy for anyone to install and use without the need to pay for extra programming. Extra Step for Mobile — This really isn’t a “drawback” as it is easy to create a mobile friendly site in Wix, it just does not happen automatically as in most WordPress themes. You must layout each page for mobile separately. It’s not difficult, it just takes a little extra time, and if you are not aware you need to take this extra step, your mobile site will look a mess.